Popping up from nowhere late Saturday evening after the national newspapers had gone to print, Mrs May has by-passed the media and spoken directly to the nation via a statement published on the Downing Street website. This makes a distinct change from having to find out what the prime minister says on paywalled media, cutting out the rather dubious practice of paying for the privilege of finding out what our government leader has to say. That much, at least, is to be encouraged. 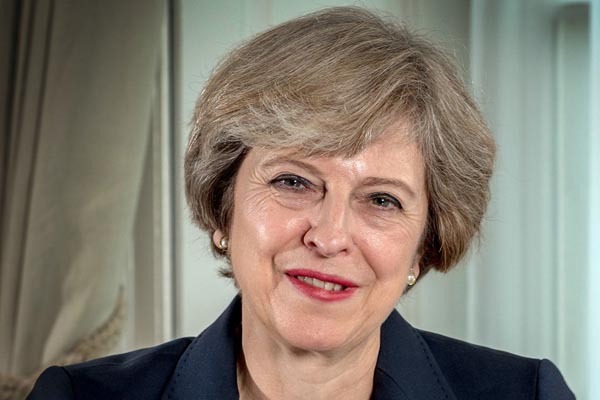 In her online statement bearing her stock photograph, Mrs May tells us that delivering Brexit has been her priority ever since she became prime minister, something which hardly comes as a surprise, and she affirms that this remains her objective today. Rather forlornly, she adds that she wants the UK to leave the EU in an orderly way as soon as possible, which "means leaving in a way that does not disrupt people's lives", something she has already failed to achieve. Going back over old ground, she asserts that her "strong preference" was to leave "by winning a majority in Parliament for the agreement the UK reached with the EU last November". She had done, she said, "everything in my power to persuade the Conservative and DUP MPs who form the government's majority to back that deal", repeating her rather thin mantra that she had "securing legally-binding changes to address MPs' concerns". As we can hardly avoid knowing, that deal has been rejected three times by parliament, but Mrs May now seems to acknowledge reality, saying: "there is no sign it can be passed in the near future". And, she says, because parliament "has made clear it will stop the UK leaving without a deal, we now have a stark choice: leave the European Union with a deal or do not leave at all". This is a seriously worrying assertion. As long as leaving without a deal is the default outcome, written into Article 50, it is not within the power of parliament directly to intervene in this manner. And, if the revocation of the Article 50 notification remains Crown prerogative, parliament cannot force the issue. The real choice remains what it has been for some time: deal or no deal. Nevertheless, Mrs May seems to be intent on presenting us with a false choice, undoubtedly to rack up the tension in her own party and to soften resistance elsewhere. And to avoid this fate, she has taken "a new approach", telling us that "we must deliver Brexit" and to do so, "we must agree a deal". As far as Mrs May is concerned, "If we cannot secure a majority among Conservative and DUP MPs we have no choice but to reach out across the House of Commons". This is obviously her justification for the Corbyn talks, but nowhere in this short statement does she mention either Mr Corbyn or the Labour Party. Instead, she prefers to talk in vague generalisations, telling us that the referendum was not fought along party lines and "people I speak to on the doorstep tell me they expect their politicians to work together when the national interest demands it". Developing this theme, she has it that, on Brexit, "there are areas where the two main parties agree: we both want to end free movement, we both want to leave with a good deal, and we both want to protect jobs". That, she says, "is the basis for a compromise that can win a majority in Parliament and winning that majority is the only way to deliver Brexit". If we take this at face value, it would suggest that, despite news of the talks "stalling", they are still very much the main event. In fact, the story this Sunday is that Mrs May is set to offer Mr Corbyn a sweetheart deal which will involve locking into law a commitment to the "permanent customs union" that the Labour leader has put at the core of his policy. Although this completely reverses one of Mrs May's red lines, we understand that she intends to disguise the reversal by calling it a "customs arrangement", in the expectation that we are all too thick to recognise their sleight of hand. This was exactly the same ploy that the authors of the Common Market 2.0 plan contrived and, in its second iteration, it is just about as convincing - even if it is probably enough to confuse many MPs. To get it past the Commons, Mrs May will no doubt rely on whipped Labour votes, setting up primary legislation that will be difficult for a successor to undo – although the possibility of that happening cannot be ruled out, especially after a general election where the make-up of parliament might undergo substantial change. To get the assent in this parliament, Mrs May seems to be relying on her own version of "project fear", asserting that, "The longer this takes, the greater the risk of the UK never leaving at all". It would, she says, "mean letting the Brexit the British people voted for slip through our fingers". Then, of course, we get the polemics, the May version of the "Iron Lady, as she roundly declares: "I will not stand for that. It is essential we deliver what people voted for and to do that we need to get a deal over the line". Now, at last, we get to the meat. When the prime minister goes to Brussels on Wednesday, she tells us she intends "to seek a short extension to Article 50", to give her time to agree a deal with Labour, so "we can leave the EU in just six weeks". The game plan, therefore, is to go to Brussels with empty hands – nothing more that a claim that she can attract the support of Jeremy Corbyn to help her ram a deal through parliament over the heads of her rebel MPs. The idea that the prime minister will get her way on the back of opposition votes, despite the resistance of her own party, has important historical precedents that go right back to the time when Edward Heath was preparing to take us into the EEC. In February 1972, after three days of intense debate, the all-important second reading of the European Communities Bill was put to the vote in the Commons. Official Labour policy was to oppose the Bill and, ordinarily, there should have been enough anti-marketeer Tories to see it rejected. However, faced with the possibility of a collapse of the government, after Heath threatened to dissolve parliament if the vote went against him, the bulk of the Tories did what Tories always do – they voted to keep their jobs. As a result, the Bill passed its second reading by a slender majority, with 309 votes to 301. Later it transpired that, after all, 15 Tories had voted against. Heath had only got his Bill because four Labour MPs and five Liberals had voted against their whips. Harold Wilson, responding to the vote, complained that, "in breach of his election promise, the prime minister has not got the full-hearted consent of the British people. Secondly, he has not got the full-hearted consent of parliament. Thirdly, when he said he must get this through on Tory votes in a majority of this House, he has not done so". Even then, the Bill was not home and dry but, through secret collaboration between opposing whips who coordinated crucial abstentions, there were just enough votes to give the Bill a majority of 17 for the third reading. A cross-party plot by "marketeers" had won the day. Slightly more transparently, Mrs May is to rely on the same dynamic, but whether it will work is anyone's guess. Whether even the "colleagues" will let it get that far remains to be seen. There is no means of telling, although one can expect an amount of scepticism on the day – whence we may see the push for the long extension. What is clear, though, is that the Conservative Party is in turmoil – not that that is anything new. One gets bored with the self-indulgent bickering within the party, and the posturing of the ERG and the "ultras". It they hadn't opposed the Withdrawal Agreement in the first place, we wouldn't have been in this situation. Despite this, ex-whip Michael Fabricant is predicting "open revolt" in the Conservative Party and among leave voters if Mrs May agreed to move in with Labour. However, others are warning of "seismic changes" in UK politics if departure from the EU is delayed to the point where we have to take part in the European elections. The uncertainty may have serious implications for the council elections on 2 May, when the Tories are expected to take a drubbing, while Ukip is enjoying something of a resurgence. Added to this, the move to a customs union will be seen by many as a "betrayal", especially as it was explicitly ruled out in the 2017 Conservative manifesto. What Mrs May is banking on, though, is getting past the withdrawal hurdle, so that – as she concludes in her statement – "We can then get on with building a new relationship with our nearest neighbours that will unlock the full potential of Brexit and deliver the brighter future that the British people voted for". Not having disclosed in that statement her plan to offer Mr Corbyn his customs union, Mrs May is not perhaps in a position to offer as bright a future as she might otherwise have hoped for, but then that is another day and another bridge to cross. And, if nothing else, she tends to live for the day.